Bring excellent quality, speed, and ease of use to your home office all in the name of increased productivity. This begins with built-in Wi-Fi for printing and scanning virtually anywhere in your home from computers and compatible mobile devices. This also includes AirPrint2 , which lets you wirelessly print photos, emails, web pages, documents and more from compatible iPad, iPhone or iPod touch devices to a compatible Canon PIXMA Wireless All-In-One. An integrated 30-sheet Auto Document Feeder, FastFront, and Easy-WebPrint EX3 are just some of the features that can allow you to easily multi-task while your PIXMA MX432 is at work for all-new levels of efficiency. 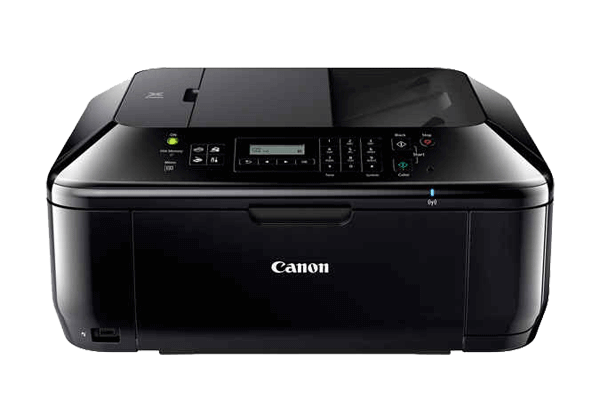 4800 x 1200 maximum color resolution4 and the FINE Cartridge System means superb business document printing and efficiency while built-in imaging technology ensures the integrity of originals are preserved with each copy and scan. Maintain security standards by utilizing features to prevent misdialed fax transmissions and keep scanned files password protected. The MX432 also allows you to turn your office into a photo lab and print beautiful, borderless5 photo lab quality photos up to 8.5" x 11" in size. Your photo printing options now also include Full HD video6 while you can enjoy computer-less printing through compatible direct print options. The MX432 delivers the business imaging quality and versatile solutions that can assist you in bringing your business to the next level. So, you can print business documents when you need to and photos when you want to. Fantastic Resolution: 4800 x 1200 maximum color dpi4 produces incredible quality and detail in both your business documents and photos. High Performance Ink Cartridges: These two genuine Canon ink cartridges contain specially formulated inks for great document and photo quality. One is a Pigment Black cartridge for crisp, professional text and one is a multi-color cartridge for pictures and graphics. Both are easy to use and replace. Beautiful, Borderless Photos Fast: Print a borderless, 4" x 6" photo in approximately 46 seconds.